Topic: Im sorry if I didnt accept your Dongbook requests. Re: Im sorry if I didnt accept your Dongbook requests. austrotard wrote: I had to wait a week to come home and tell you woodcarving is gay. well, you're right, so there's that! 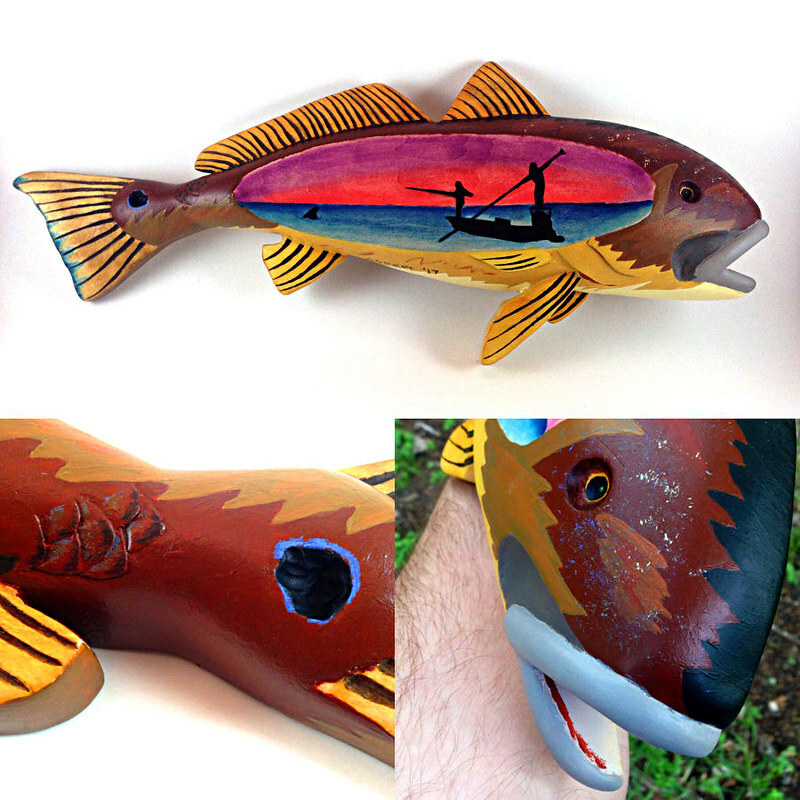 Fun project, the darks (fin rays, spot, angler scene) are all carved in... kinda reverse relief I guess. I've been carving more than fishing lately. Fishwater wrote: Very cool Dave. I just figured out how to log in for the first time in forever, been following this thread, damn, that food... I sort of consider myself a sheltered, burgeoning foodie and I don't know what 2/3 of that stuff is but it looks AMAZING. Topic: Pledge Pin on your uniform? Re: Pledge Pin on your uniform? This thread is irrelevant based on the fact that it was posted after 2012. Also after a long hiatus and a short checkup I notice tailing pizza is back. Now if we can just get his nemesis from San Antone back on here we can watch the fireworks.